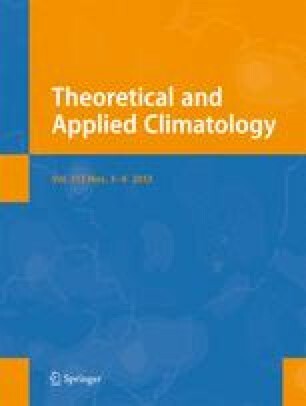 Trend and discontinuities in rainfall and temperature time series for Congo-Brazzaville are analysed over the period 1950–1998. Rainfall series show a stationary evolution in the south, and an overall negative trend in the north, while temperature series present an irregular increase. This increase is in relation with observations at the regional scale. After a stationary period, a main discontinuity occurred between 1968 and 1970, followed by a second at the beginning of the 1980s. However, the differences are observed between large towns (Brazzaville and Pointe-Noire), and small towns (Dolisie, Sibiti, Impfondo). Authors’ address: Gaston Samba, Dominique Nganga, Marcel Mpounza, Centre de Recherches sur les Tropiques Humides, Université Marien Ngouabi, BP 3069, Brazzaville, République du Congo.